GelatineAgar agarComposition Gelatine is obtained from the bones and skin of pigs (or cow), bathed in chloride acid. So it’s not suitable for vegetarians, Muslims and Jews. Agar agar is red seaweed found in Japan. When reduced to a powder and incorporated into food it becomes jellified. Comes in very thin transparent and rigid sheets. Usually sold as a powder, it can also be found as filaments and flakes. Around 340 calories per 100g and 95% protein. Not highly nutritional as the body can't break down the proteins. Like gelatine, around 340 calories per 100g. Composed of 80% soluble fibres that suppresses the appetite. Recommended if you are on a diet as it is a mild laxative. Gelling agent, stabiliser and thickening. Gives a creamy texture. Gelling agent which produces a firmer texture than gelatine. Around £1 for 17g, so 9 sheets (usually 3 or 4 sheets are used for each preparation). Around £1.50 for 10g (2g is usually used for one preparation). Available in organic shops. You don't cook gelatine, so don’t put it in boiling water. Start by soaking the sheets in cold water for a few minutes to soften them. Then add to your mixture at room temperature and mix well so that it completely dissolves. Add a few sheets of gelatine to your mousses, charlottes, trifles, jellies and other cakes. You need to boil agar agar, but it only turns into jelly when cool. Use 2g of powdered agar agar (a teaspoonful) per 500ml of liquid. Mix the powder into your cold mixture, bring to the boil for 20 to 30 seconds and then let it cool to obtain a firm jelly. If you want a creamier texture, add double cream or purée to your mixture. 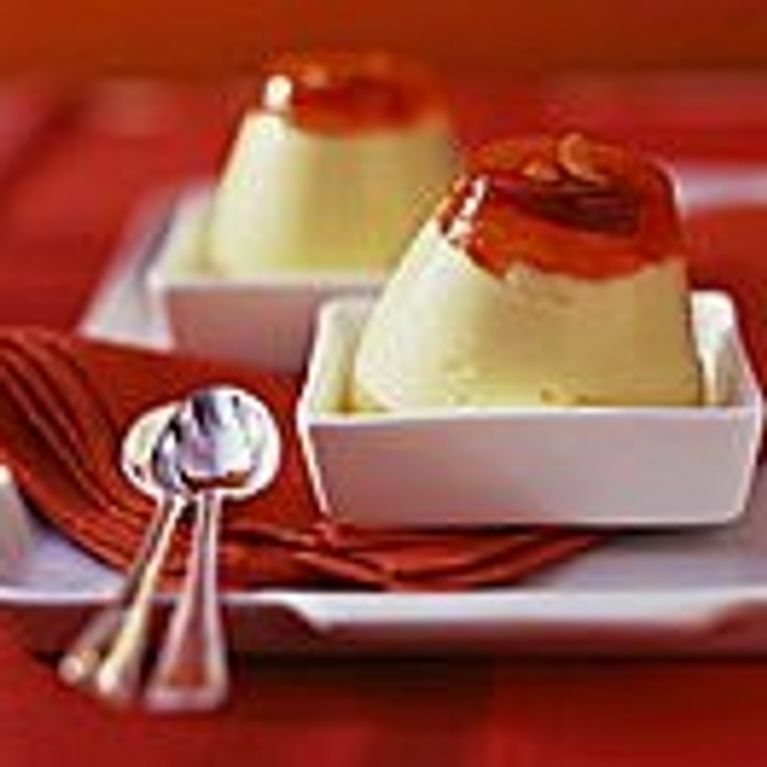 Use agar agar to firm jams, flans or creams. Even if agar agar doesn't have the exact same effect as gelatine, you can use it for all creams and cakes but it is more difficult to use. Another problem is that it's only just becoming popular and many recipes use gelatine. Bear in mind that you usually need 2g of agar agar per 500ml of liquid.